Ever fancied trying out a mindfulness app but not known where to start? No problem – we've found five of the best free mindfulness apps for you to try. Each is slightly different, some come with additional content if you pay a subscription fee, but all are a great way to see if using an app to meditate works for you. All you need is your smart device and willingness to give it a go! 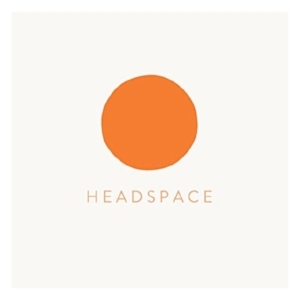 Probably the best known meditation app out there, Headspace is popular, expandable and easy to use. With the free trial, you get ten days of access to their Basics meditation programme. You can also listen to the first meditation in each topic series (which include things like sleep, patience and productivity), enjoy three Everyday Headspace sessions (short meditations that change each day) plus a few other little bonus bits of content. After that, you have to subscribe, but it's a good way to test if the app is right for you. 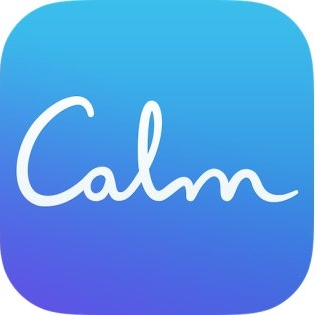 Similarly to Headspace, Calm lets you get a decent bite of its offering without you having to commit to subscribing. On opening the app, you're greeted with a pretty scene and relaxing sounds (like the ones you'd see CDs of in garden centres back in the '90s – think rainfall or a crackling campfire). From there, you can access Seven Days of Calm. This includes Calm Masterclasses (explanations of things like rest and depression), calming music, guided meditations of varying lengths and a few Sleep Stories (soft-voiced humans reading stories to sleep to). After that, a subscription gives you full access to similar content. Stop, Breathe & Think was the first mindfulness app I used and it's my favourite to this day. It pushes the importance of tracking your mood, feelings and activity, which is very helpful if you're someone who doubts their progress. With each use, you input your current state then the clever app recommends activities for you to try. You can also completely ignore this function and choose from the entire catalogue of guided and self-guided meditations. There is a great mix of subject-specific and non-specific meditations. One quirk that I love is that you get rewarded with 'stickers' when you pass certain milestones, such as the You're On A Roll sticker for a five day streak (it's a dog on rollerblades). For me, this app has the best pre-subscription offering. If you like to get straight to the point with no distracting graphics or noises, you'll love The Mindfulness App's pared-back interface and simple navigation. In the free trial, you get to use the five day guided introduction course to mindfulness. Also included are guided and non-guided meditations sessions that last from three minutes to half an hour, nature tracks for chilling out to, handy mindfulness reminders throughout the day and stats to keep you on course. The full version has a lot more content including over 200 extra meditations, so if you decide to pay for a subscription you'll have a lot of new sessions on specific and non-specific topics to explore. Ignore the low-key nature of Insight Timer's icon and name; what you actually get here is a gigantic library of free meditations and talks to help you learn to unwind, sleep well and boost your happiness. There are literally thousands of guided meditations covering all sorts of mental health, physical health and wellbeing topics. Alongside this, there are ambient sounds and music tracks to focus to, stats and community features. Each day, at least ten new guided meditations are added to the library, so you're always going to find something to try. The only difference between the free version and the paid-for version is that with the latter one you can listen offline. Let us know how you get on in the comments section or over on our Twitter!